We already know that live video is a solid tool for consumer marketing, but what we didn’t know was just how effective it could be for launching and raising awareness of not-for-profit campaigns. Groovy Gecko recently helped Grazia UK to live stream from Instagram HQ as part of a Bauer-wide campaign to get mental health support in every workplace. A panel discussed how women can beat Imposter Syndrome, using the hashtag #WheresYourHeadAt, to encourage viewers to ask questions and share their stories on social media. Moderated by Lucie Cave (editor-in-chief of Heat magazine), the panel was comprised of Melissa Hemsley (cookbook author and one-half of Helmsley and Helmsley, a sister duo pioneering healthy home cooking), Bryony Gordan (journalist and author), Natasha Devon MBE (author and campaigner/activist) and Afua Hirsch (journalist and author). As Natasha explained at the beginning of the stream, the campaign is aiming to change the law on mental health in the workplace. According to the Guardian, women and people from a minority population experience imposter syndrome more, due to cultural inequalities. This makes it a highly applicable topic for Grazia Magazine and its audience. The live stream also discussed the pros and cons of social media, as well as body shaming and body confidence. This brought the panel to the topic of Social Media. Love it or loathe it, the panel agreed that social media is sometimes vilified for making mental health worse. But a few panellists added that social media can have benefits for mental health, as long as you ‘follow’ the right people and remain aware that what we see on social media “is your best self”, and isn’t always wholly accurate of the truth. According to Afua, the worst social media trolling she experiences is from other women. She says it’s because some women “feel resentful that I don’t feel I should hold back.” She added that fellow women should be building each other up, instead. Using Groovy Gecko’s Question Moderation Tool, viewers were able to ask questions in the comments, which were then fed to Lucie the moderator’s tablet after moderation by the organisers. This helped to increase the viewer count and encouraged viewers to react more meaningfully than simply passively viewing the stream. 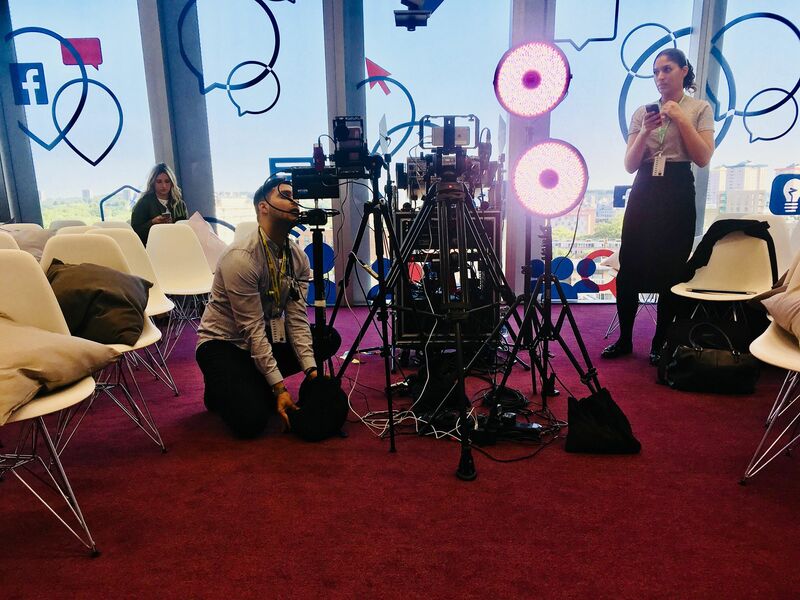 Interactivity is one of the key advantages of live streaming, as it is much more able to draw in viewer attention and encourage true engagement. Pre-recorded video, in comparison, has no sense of immediacy and can often be ignored. Although mental health first aid courses may not cure a person, it can help us all to know the most appropriate actions to take in order to help at that very moment. Devon hopes mental health first aid may “make it more acceptable to talk about it [mental health]”. “50% of Londoners who’ve had to take time of work for mental health told their boss it was a different reason” – Bauer survey. The buzz generated on social media through the use of the hashtag and Groovy Gecko’s Question Moderation Tool meant that the stream reached over 2.6K views! A great conversation starter to launch the #WheresYourHeadAt campaign.